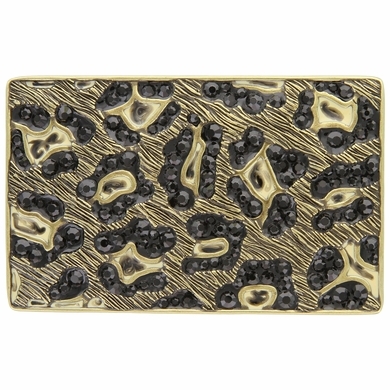 Exotic leopard skin pattern with black rhinestones belt buckle. approximately . size 3-1/4" x 2".